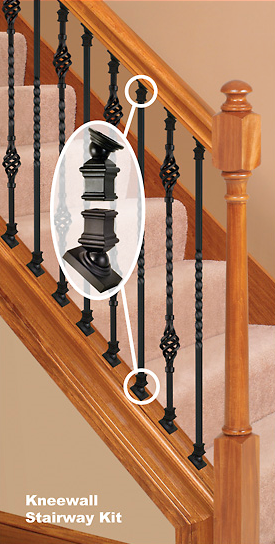 Many customers ask if it is possible to replace wood balusters with wrought iron balusters without replacing the handrail, tread caps, etc. While this has always been possible the process was a little tricky to ensure that the previous holes were covered and that the result looked clean and professional. 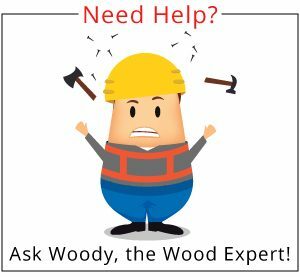 Now, however, one of WoodStairs.com’s suppliers has come up with an ingenious method that makes the process easy and results in a professional finish every time. LJ Smith’s IronPro makes replacing wood balusters with wrought iron balusters for remodel applications so easy that virtually anyone can do it. 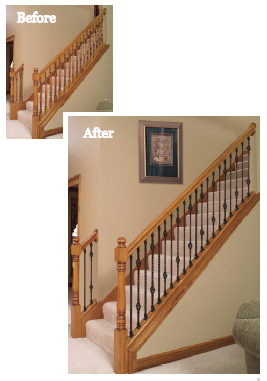 Replacing wood balusters can completely revitalize the look, style and feel of your balustrade. Wrought iron balusters come in a far larger variety than the typical wood designs and offer the ability to create unlimited variations and patterns. IronPro is a wrought iron baluster accessory that enables you to replace only the balusters, potentially saving thousands of dollars, by preserving the remaining wood components. Your existing handrail, newel posts, tread caps and moldings are virtually unaffected and completely reusable. In fact, they don’t even have to be removed to replace wood balusters. Additionally, with IronPro, you can enjoy a beautiful new wood and iron balustrade that can be installed in 1/3 of the time of a typical installation. The IronPro hardware is secured to the handrail, treads and kneewall utilizing high quality, self-drilling screws or bolts that require very little skill and virtually anyone can perform. While IronPro hardware adds to the material costs of a new balustrade installation it is an excellent choice for the do-it-yourselfer. 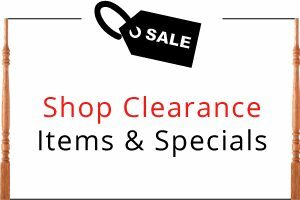 It makes the process so simple that the time saved, or the professional installation costs, are such that in the end, it is usually well worth the cost. So if you are considering a wood balustrade with wrought iron balusters or remodeling to replace wood balusters with wrought iron balusters, consider this innovative system to create your perfect design at a fraction of the installation time. 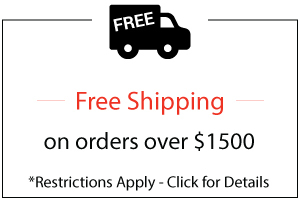 You can view the IronPro product brochure .pdf here or as always feel free to contact one of our Stair Specialists at 888-390-7245 or CustomersFirst@WoodStairs.com We are always happy to help answer any questions about this or any of our products or services.